Have you ever heard of the expression, "if you build it, they will come?" or "what came first, the chicken or the egg?" Same could fundamentally hold true here as a result of a recent Feasibility Study conducted by the New Jersey Turnpike Authority regarding improvements to the Garden State Parkway Interchange Exit 40. The partial interchange is located on the White Horse Pike, approximately one-mile south of the Atlantic City Service Area in Galloway Township. 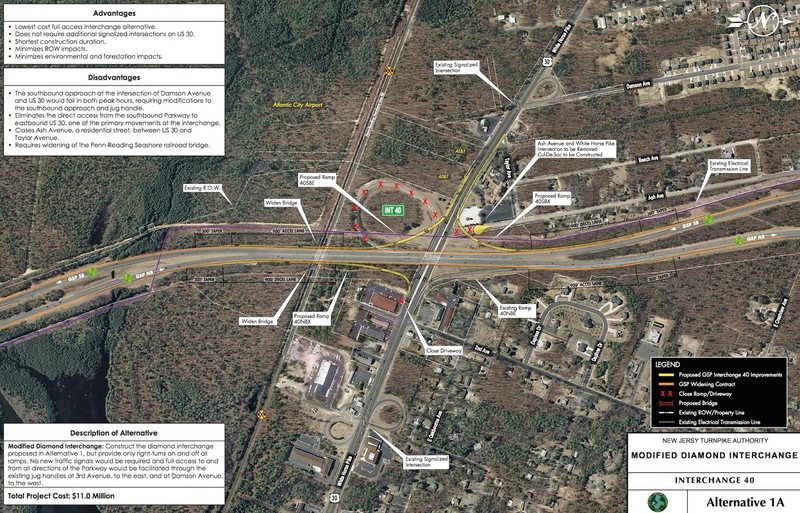 In a letter dated April 17, 2014, sent to Galloway Township Mayor Don Purdy and Members of Galloway Council from Senator Christopher Connors, the study as released states, "The New Jersey Turnpike Authority has completed a study to evaluate the need for, and feasibility of completing all missing movements at Interchange 40 on the Garden State Parkway in Galloway Township, New Jersey. Based on the results of the traffic projections and impact analysis performed for each of the alternatives studied, construction of the new ramps to the missing movements at Interchange 40 is not considered critical." The study further states. "The current projected pattern of growth in Galloway Township, as well as the greater Atlantic City region, would not justify completion of the interchange at this time, given the significant infrastructure, utility, and environmental constraints associated with the various alternatives studied." According to the study the current partial Parkway Exit 40, "primarily facilitates access to and from southeastern portions of Galloway Township and Absecon, and provides a secondary un-tolled route into Atlantic City via the White Horse Pike (US 30), a major east-west corridor. Interchange 40 provides partial access to and from the north via a southbound off-ramp to eastbound US 30, and a northbound on-ramp from westbound US 30. A southbound on-ramp and northbound off-ramp do not exist and are considered the missing movements." Although the study took into account the completion of improvements at Interchange 41, Jimmie Leeds Road (CR 561), and Interchange 44, Pomona Road (CR 575), the Study "determined that large-scale retail/commercial development, which would attract a large number of vehicles from the Parkway, is not likely to occur along US 30." The study also released "the proximity of the US 30 corridor, west of the Parkway, to the Atlantic City Airport will further limit the potential for commercial and residential growth between the Parkway and Jimmie Leeds Road." The question remains, with the New Jersey Turnpike Authority not recommending the improvements to Parkway Interchange Exit 40, would the result of this study smother any chance Galloway has to develop the White Horse Pike and market that area to Commercial Developers, hence limiting the Townships ability to build infrastructure to support the State's recommendation for an interchange? The State is recommending infrastructure and growth, yet how do you grow a town when you cut off the road to get there? Mayor Don Purdy was disappointed at the outcome of the Feasibility Study when Galloway Township News reached out to him. "I will start off by saying I'm very disappointed in the outcome of the study. They originally told myself and Councilman Gorman that it would cost $20 million to do that Roadway now it's $10 million. I do not believe it to be accurate. Furthermore, the Turnpike Authority already had plans without doing a study initially not to do the Route 30 Interchange. It was never brought up until Local Officials brought it to their attention" Purdy stated. "From the past it always seems like the Turnpike Authority already has had plans mapped out before they come to the Local Officials" Purdy stated. "There is no representation from South Jersey on this particular Board and there's a large amount of roadway in South Jersey" Purdy said. The Feasibility Study did provide four (4) alternate plans that may be cost effective and environmentally friendly, yet the study does not detail if those plans are chosen, who would pay for the costs, partial or full. With the Township budget already introduced and slated for adoption, the Township is seeing a decline in property evaluation from the latest reevaluation and tax appeals. 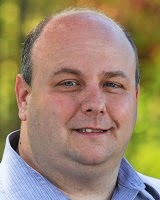 "As we have seen from the past the tax appeals of Galloway Township and the local surrounding areas with the downfall of a downward slide of Atlantic City economy we need to put infrastructure in Galloway Township and surrounding towns like Egg Harbor Township to make Atlantic City a easier destination to get to and safer" Purdy stated. The Mayor is right. Galloway is always on the bottom of the list and since they lost the representation of Legislative District 2, Galloway will remain on the bottom. Let's get working on development on Route 30, will the Governor push aside the Pinelands Regulations so that development can work? Doubt it. Let's hope not many need to Galloway and fast.